things i like right now: kimiko-tan! after watching this episode the first time, i searched for it online specifically so i could take this screencap of liz lemon. i love her side braid updo and piled on make up, done by her gay cousin randy, visting from out of town. makeover success! i honestly want to look like this when going out. 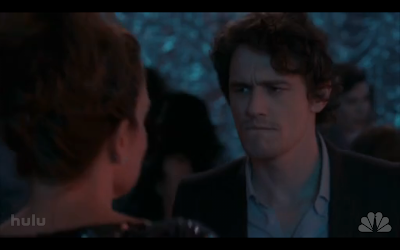 i shall use it as a reference point. 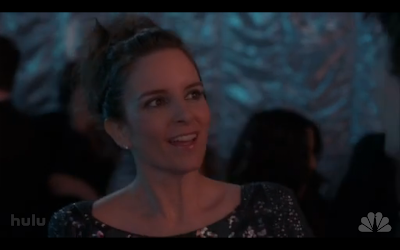 look at the intensity in liz lemon's eyes right before she says, "let's do this." 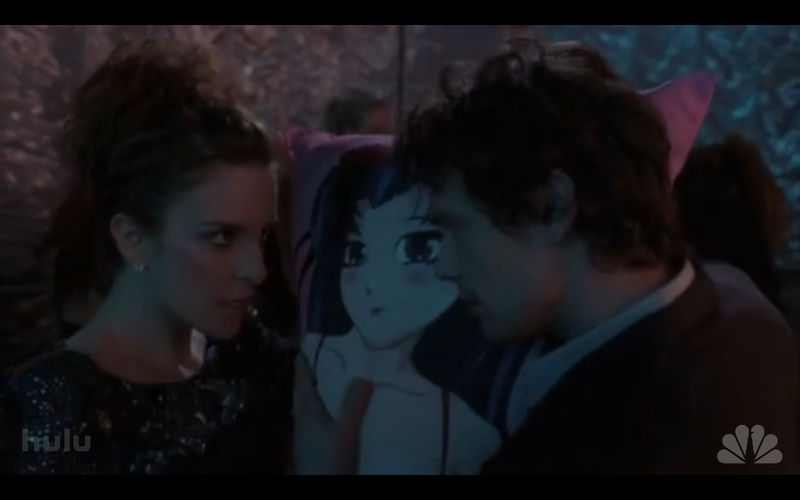 not to mention how beautiful that japanese body pillow is. i really wish this was my morning wake up look, every morning.